Construction inspection services as part of a Design-Build Team for the $28 Million reconstruction and widening of NY 347, between NY 111 and Mount Pleasant Road, on the Smithtown-Hauppauge border. 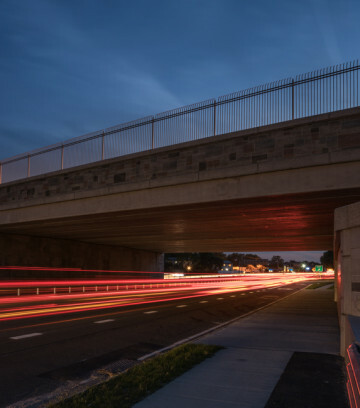 Inspection services for a $27.9M project of Route 110 bridges over the Long Island Expressway. The interchange handles 100,000 vehicles per day requiring innovative solutions to accommodate construction and inspection. Construction inspection of an existing four span, approximately 222 feet long structurally deficient aluminum bridge with a new structure including new foundations. Construction Inspection services for a 23M bridge deck replacement project involving six bridges in Nassau and Suffolk. 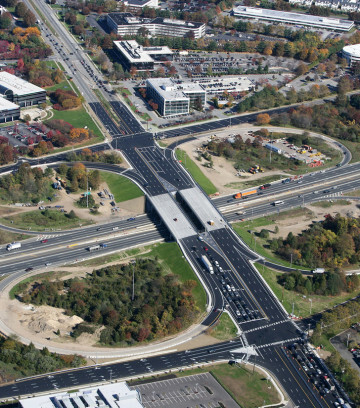 This was the first design-build project undertaken by NYSDOT in Region 10 and was successfully completed on time and within budget. 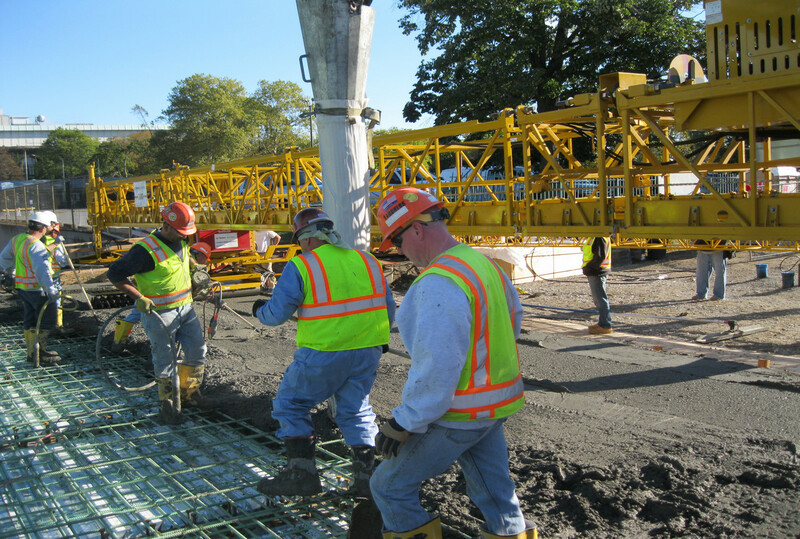 Work elements include bridge demolition, deck replacement, bridge bearing replacement or refurbishment, diaphragm replacement, stress relief joints, asphalt transitions, sidewalk, curb, bridge railing, significant utility relocations, signs, pavement markings and related appurtenances. 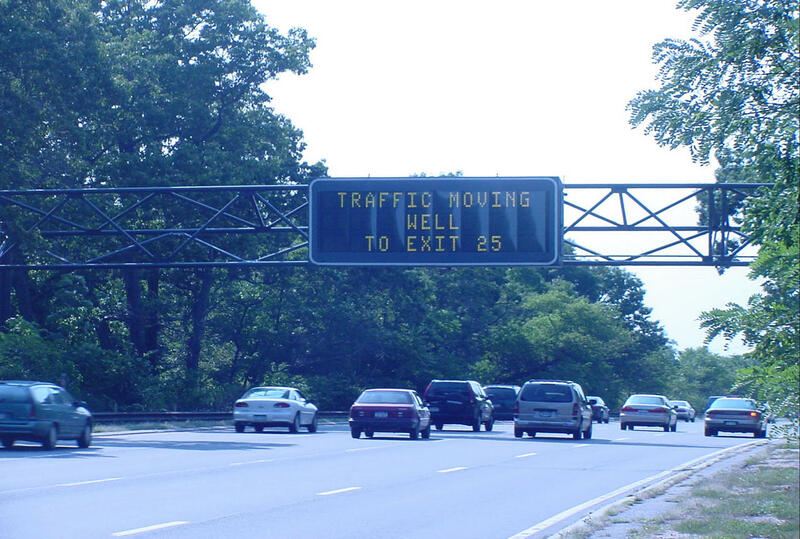 Work included day and night operations, significant MPT and long-term detours at some locations such as Pinelawn Road, Ronkonkoma Avenue and Waverly Avenue over the LIE. LKMA performed concrete testing in accordance with ACI and NYSDOT requirements for the Hempstead Turnpike Bridge at Belmont Racetrack, the Great Neck Road and Sunrise Highway Bridge, the Ocean Parkway and Robert Moses Causeway Bridge as well as the three LIE bridge locations. All records were maintained using Site Manager. Construction inspection services for a $6 million Federal-Aid highway project that followed NYSDOT record keeping procedures. Work elements included milling of over 230,000 SY of asphalt and paving with approximately 27,000 tons of asphalt. Incidental construction included drainage improvements, guiderail improvements, sidewalks, curbs, signs, and pavement markings. Significant Work Zone Traffic Control measures were also required for both of these high-speed arterial highways. 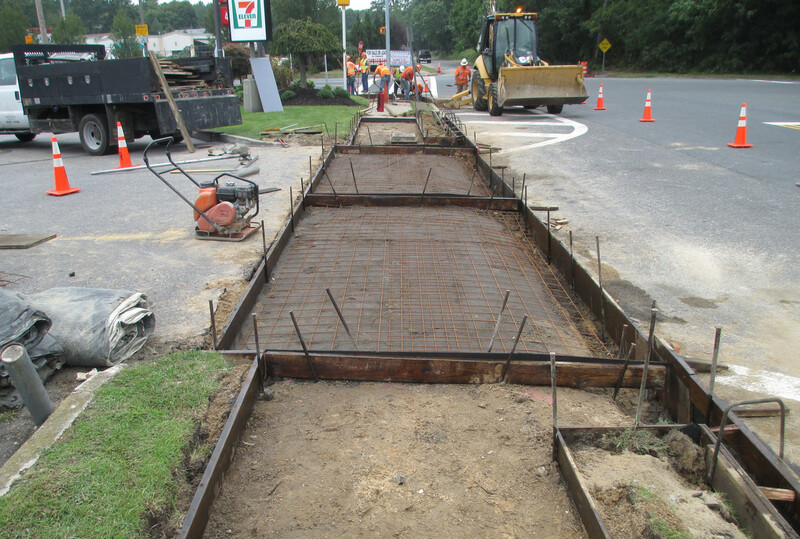 LKMA provided design and construction inspection services for the widening and reconstruction of the heavily-traveled intersection of CR 100/Suffolk Avenue with Brentwood Road/Washington Avenue. The work included the construction of new pavement, drainage, curbs, sidewalks, and decorative lighting, and the installation of new traffic signal equipment. The project required extensive coordination with utility companies, and with the Long Island Rail Road, in order to accomplish the relocation of a crossing gate adjacent to the Brentwood train station on the LIRR’s Main Line. 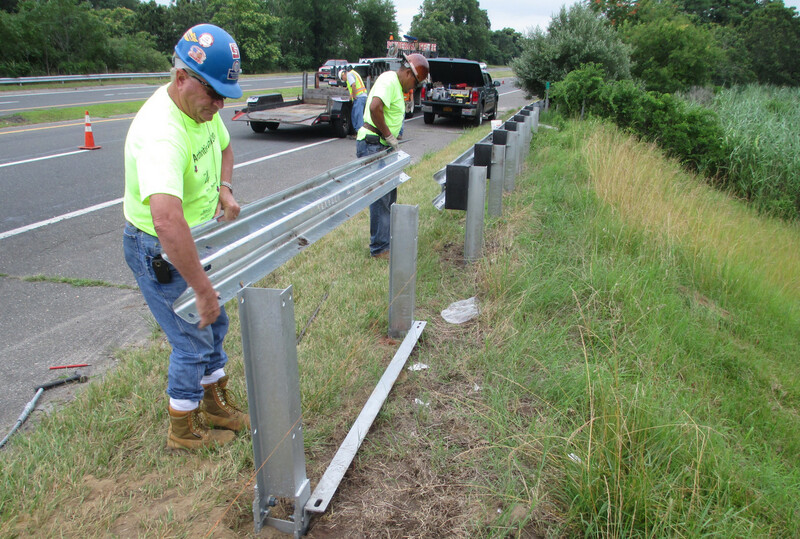 Construction inspection for installation of a new ITS on the Southern State Parkway in Queens, Nassau and Suffolk and on sections of Hempstead Turnpike, Montauk Highway and Route 109 in Nassau and Suffolk. Project involved installation of fiber optic cable, transmitters, receivers, video image detection system (VIDS) equipment, variable message signs (VMS), highway advisory radio (HAR) stations, ramp metering equipment, closed circuit television (CCTV), and hardware and software integration with the INFORM system. 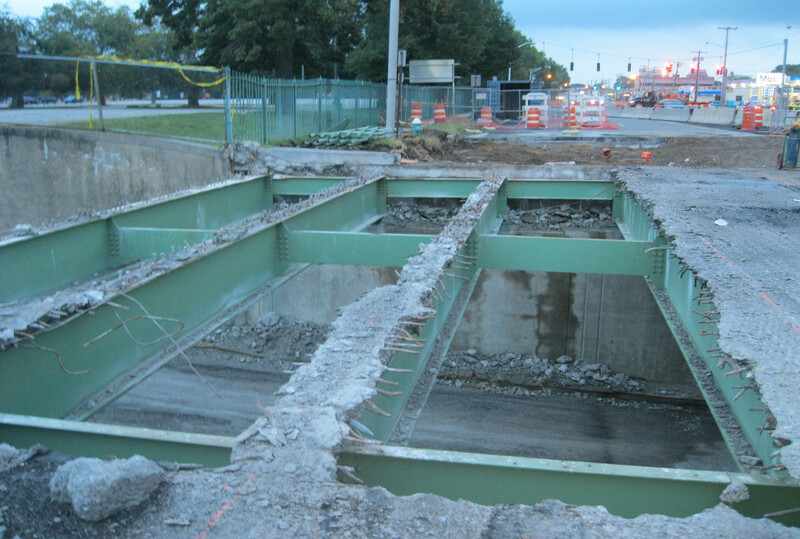 Significant construction elements included trenching, conduit and cable installation, overhead utility pole attachments, sign structures and foundations, MPT, extensive utility coordination, nighttime construction and coordination with NYSDOT Traffic Management Center. 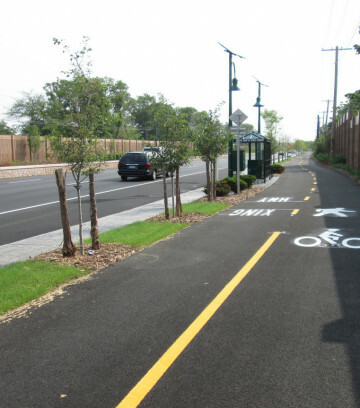 LKMA provided construction inspection services to NYSDOT for the $6.5 Million extension of the Bethpage Parkway Bikeway. The extension of the existing shared-use bike/pedestrian path began within Bethpage State Park and proceeded on a new alignment for seven miles to the intersection of Woodbury and Manetto Hill Roads in Plainview. At that point, the bikeway runs along existing streets to a terminus at the Syosset LIRR station. 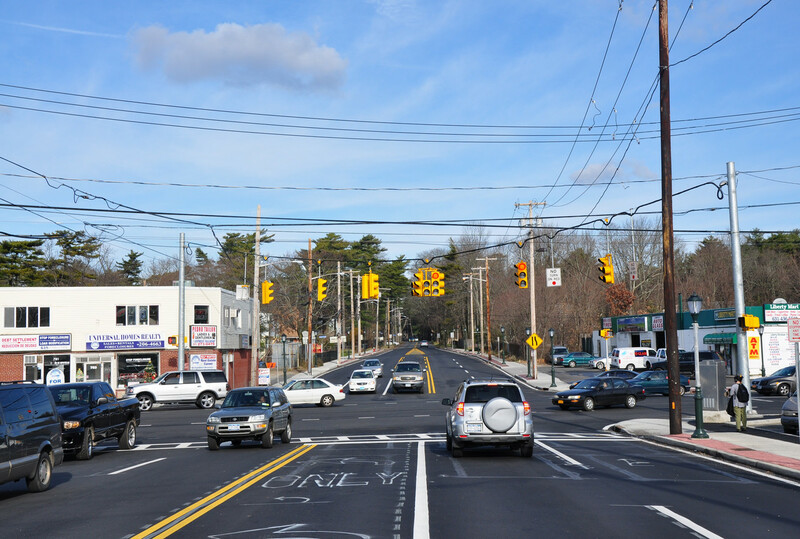 LKMA provided construction inspection services for the installation of streetscape improvements along Montauk Highway/County Road 80 in the Center Moriches business district. The work included the construction of new pavement, drainage, curbs, concrete and brick sidewalks, and drainage, as well as tree planting, and decorative lighting, benches, tree grates and trash receptacles.